10 easy steps to get Python running on your phone. Grab the PythonScriptShell_1_4_1_3rdEd.SIS file as well. Locate the PythonForS60_1_4_1_3rdEd.SIS on your phone and then open it. You’ll be prompted to install it. Choose where you’d like the application to be installed (phone or memory card) and you should be good to go. Now that python is installed, you need to install the shell, to do so, open the PythonScriptShell_1_4_1_3rdEd.SIS file that you’ve already uploaded and then open it. Same thing here, you’ll be prompted to install the application. 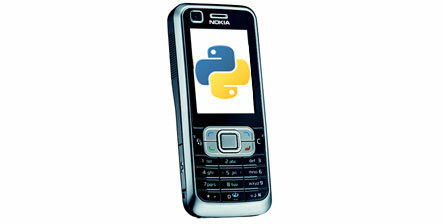 It’s recommended to install both Python, and Python shell on the phone memory. The shell will be installed in Menu > Applications > My own > Python. Take a look at the Installing PyS30 guide from Nokia for more info.